Growing up I was blessed to be around a plethora of cultures. My mother is Japanese and my step-family is European (mostly German, French and Swedish). My mom’s best friend’s were either from far away lands or chef’s like her. So needless to say, I have experienced a lot of different cultures on my palette. One of my closest friends from childhood is from Mexico and taught me to make homemade tortillas. Over the years I’ve experimented and modified my recipes and this is the one we’ve been using for over 15 years. Now making tortillas has become a way of life for my family. 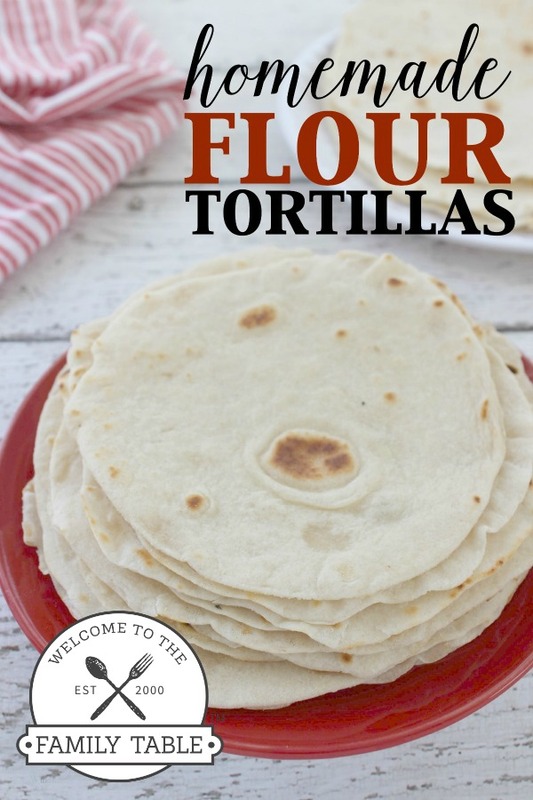 Today I am sharing a recipe for easy homemade flour tortillas. We use these for breakfast burritos, enchiladas, soft tacos, and even make cinnamon/sugar treats out of them as well! I hope you and your family enjoy making these as much as we do! 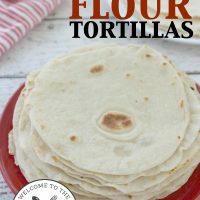 These easy homemade tortillas will make Mexican night a smash hit! Roll out each ball into a 6" circle. I don’t have a stand mixer. Will a hand one do or mixing it by hand (wooden spoon)? I’ve done both and they don’t turn out as well, but you certainly can try!